LA JARCIA, Wise, Intibuca, Honduras – The recognition of traditional lands of indigenous groups is at stake for a Lenca community in the department of Intibuca in rural Honduras. 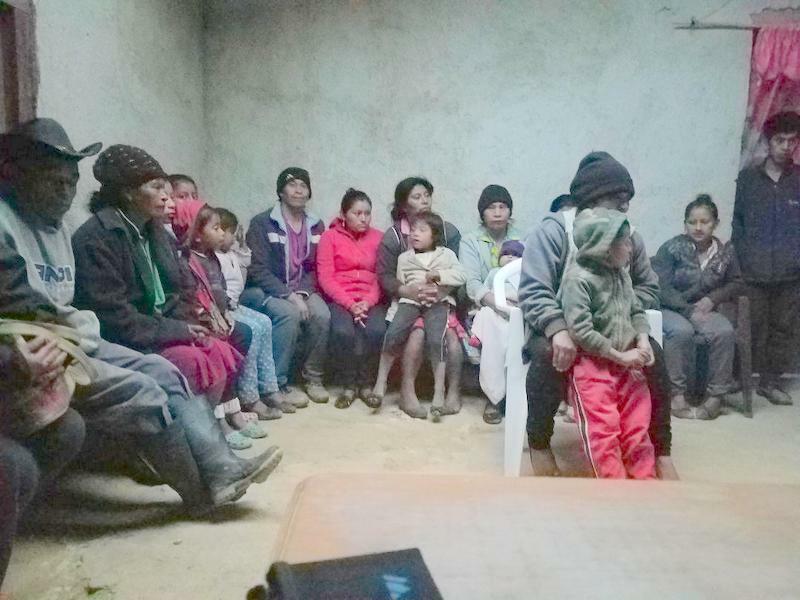 In a February 26, 2016 raid and destruction of the village of La Jarcia by police, the indigenous community was left without shelter, nor food, as their crops along with their homes were destroyed. According to witnesses, the mothers, along with the small children were jailed and held without provisions. One mother who had given birth just 22 days earlier was denied even a diaper for her baby while being held in jail. Vasqueza referred to Domingo Lenin Perez Reyes who was illegally granted a land title to the area by mayor Martinian Dominguez according to the Civic Council of Popular and Indigenous Organizations of Honduras (COPINH) a group founded by Bertha Caceres who was supporting the organization before she was assassinated days after the raid. 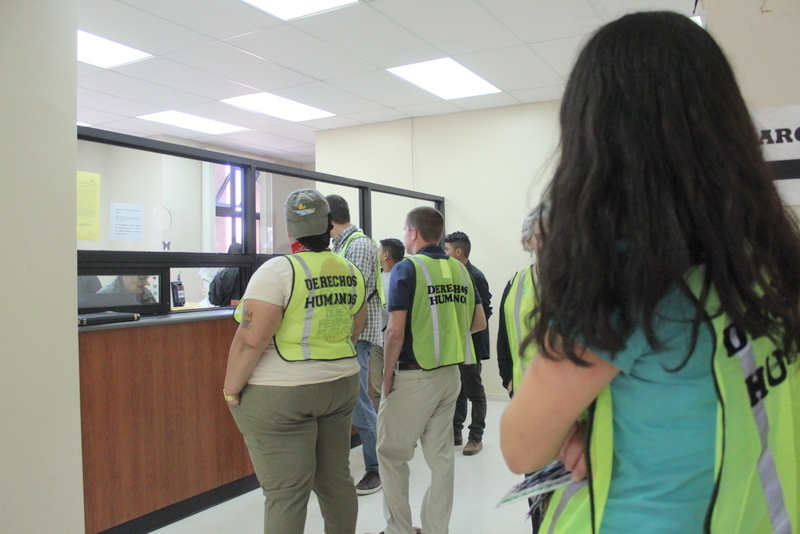 Twelve people were arrested and charged with land usurpation after the raid. According to Honduran law, community lands cannot be titled to private land owners by local mayors if the land is located in a rural area. 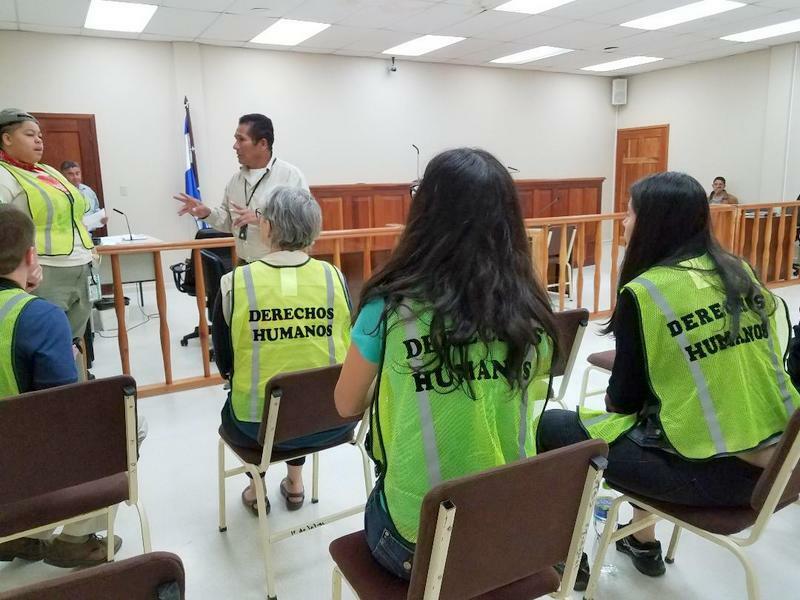 On November 28, 2017 a human rights observation group from the US took testimony from those affected by the raid. About 25 members of the community appeared in the small room of a house that had been rebuilt after the incident. Most thanked the human rights group, but some went on to talk of the impact to the community. Maria Virginia Dominguez Vasquez, Maria Catalina Dominguez Vasquez, Maria del Rosario Dominguez Vasquez, Juan Manuel Dominguez Vasquez, Maria Placida Dominguez Vasquez, Maria Marcelina Dominguez Vasquez, Raimundo Dominguez Dominguez, Santos Filadelfo Dominguez Vasquez, Oscar Abilio Dominguez Vasquez, and Jose Marcial Dominguez Vasquez. In part, ILO guarantees Indigenous communities of free, prior, and informed consent before traditional lands can be used or purchased. En route to its next stop, the human rights group received a text which read that charges against all involved were dropped. This entry was posted in Civil Rights, Human Rights, mass incarceration, Migration, Militarization, Police Brutality/Misconduct, Politics, Racial Profiling/Discrimination. Bookmark the permalink.